This post contains affiliate links, which means if you click and make a purchase, I'll get a small commission (and that helps keep my blog running). But I've actually read these books and am posting my honest reviews here of my own accord (i.e., this is not a sponsored post). I’ve been making a conscious effort to get off my screens and into the pages (real, paper pages) of more books this year. Each month I’m picking several books to read (numbers may vary), but I’d like at least one of each of the following: one that’s pure enjoyment, one for the art/design/hobby-as-small-business stuff, one for the actual existing small business I run and want to grow, and another for product design/research. 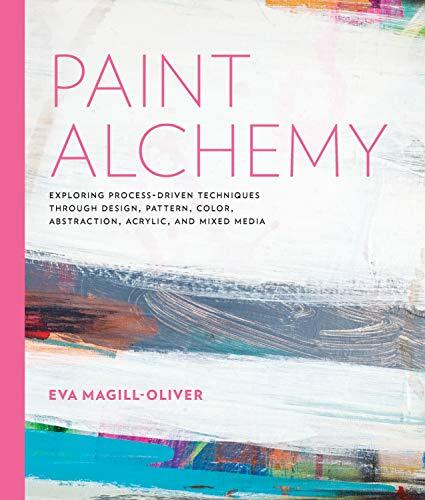 In March, I had an extra art/design book, but one of them (Paint Alchemy) was less reading and more activity based. I had high hopes for this book. I love a good thriller/whodunit mystery. In fact, it’s one of my favorite genres of books to read for pure entertainment. 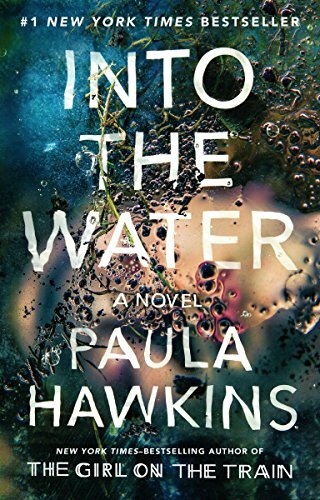 But sadly, this book felt more like a wet mop than a thrilling, edge of your seat mystery. And I actually figured out who did it the first time the person made an appearance in the book. I finished it, but mostly because I had started it. It started out slow…really slow, and since I had already figured out the endgame (minus all of the nuances and details), I think it made it even slower for me. The second half of the book was much more interesting than the first half and there were some unexpected twists there, so maybe if I hadn’t figured out the end so early, it would have been a better overall read. The idea is to apply it to the big goal in your life - what do you want to do someday, then break it down to what can I do this year, this month, this week, today, right now to get there. Even if you aren’t applying it to a big someday goal, you can still use it every single day to focus your life and your time. For example: “What’s the thing I can do today to make sure I get in my daily workout such that by doing it, everything else will be easier or unnecessary?” The answer varies by person. For me, it might be blocking off my calendar. For you, it could be laying out your workout clothes the night before so you can grab them and go first thing in the morning. The point is, in anything you do, you should break things down into the smallest possible chunks so each chunk (or domino, as the book describes them) is bigger and builds more results than the last. But admittedly, this is much easier to say than do. I’m working on it, though, and thanks to this book, I think I discovered my general path to get to the “someday” goal. This is one of those books where you read it once, then go back through again and do all of the things step by step. If I’ve discovered one thing (pun intended) over the past month or so, it’s that my life has two distinct, but (mostly) equally important tracks: 1) my product strategy and user experience design career and business aspirations and 2) the art/craft hobby-turned-small business hopes and dreams. And somehow I’ve got to make room for both because one makes me some decent money and the other feeds my soul (you can probably guess which is which here). This book is packed with tips of how to spark your creativity and keep it alive, even when things get tough. Because when things get tough, creativity and crafting can help keep you sane. At least it does for me. But it’s also the first thing that falls off my list. 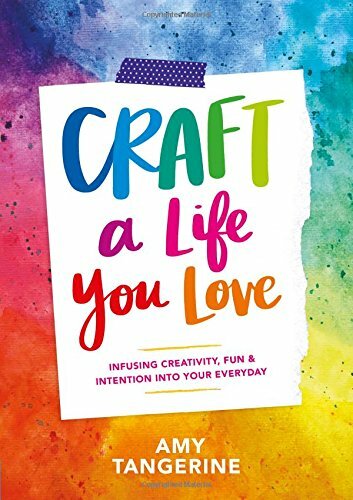 One of the tips I loved in the “Crafting Your Way Back” section of the book was to focus on someone you love and make something for them. I’ve been doing this without realizing it by making a bunch of jewelry for B, whether he ends up wearing it or not. He is currently my muse. I’ve got a lot of kids jewelry hanging around right now. Ha! Another tip I loved was to keep it simple. Every daily art or craft experience doesn’t have to be a big production - do a quick sketch, string a necklace. Just do something to keep the creative juices flowing. Kind of a parallel to the One Thing. Think small. Then think smaller. And go do that. Much like The One Thing, this book is good for a first read-thru then a second time of doing the exercises in each section. This was definitely the meatiest read, filled with case studies of different ethnographic approaches to understanding the role of digital media in people’s lives. It wasn’t exactly what I expected, but I ended up learning from it and really enjoyed it. 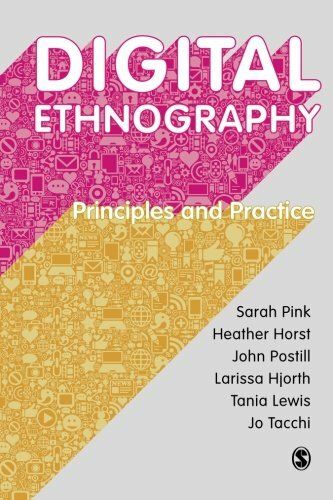 I was expecting a more practical guide for conducing ethnography using digital means, rather than case studies and approaches in ethnography for studying digital media. But still, the case studies were so good, and it made me think about new ways to approach research projects in my day job. If you’re researcher or product designer, this is good read to learn more about how digital media influences lives and choices (and ultimately how people use and interact with products). This was less of a read and more of a guided activity book. While I haven’t gone through all of them yet, I did a few and they been fun. It’s easy to follow and the artist is accessible, encouraging, and friendly, and not at all intimidating. But she is very talented! The exercises in the book focus on experimentation and flow, as opposed to perfectly finished pieces. This one is a fun one if you just want to experiment with paint and get messy. You don’t have to be Picasso to have fun with this and produce some cool work. Have you read any of these books? What’s currently on your reading list?